Another study found benefits from eating nuts - this time an association between frequently eating nuts and better brain functioning in older adults. The study was done in China and was part of a long-term nutrition and cognitive function study of 4822 adults (aged 55+ years). With aging, it is normal to have some decline in brain functioning, but the researchers said that high nut consumers had much less decline - that the more nuts consumed, the less decline (an inverse relationship). The article below makes some grand claims ("could improve their cognitive function by up to 60 per cent") for a study that found an association between long-term nut consumption of more than 10 grams (about 1/8 cup) daily and cognitive health, but this doesn't prove it. Perhaps people who eat nuts also eat other foods or do other things that are beneficial for brain functioning. But ... the good news is that eating nuts frequently appears to be beneficial. So eat and enjoy. Long-term, high nut consumption could be the key to better cognitive health in older people according to new research from the University of South Australia. ...continue reading "Another Reason To Eat Nuts Frequently"
Author SimaPublished on March 15, 2019 March 20, 2019 Leave a comment on At What Age Do You Feel 65? A recently published study attempted to compare countries to determine at what age does the average person feel like they are 65 years old - that is, at what age do they experience the typical health problems of a 65 year old (age-related diseases). We all generally want to live a healthy long life. But the reality is that most people will develop 1 or more health-related conditions or diseases as they age, with perhaps both physical and mental deterioration. The researchers looked at both among world countries - chronological age and the onset of age-related diseases and conditions (out of 92 conditions). As expected, when people have the health problems of an "average 65 year old" varies tremendously between countries. The US didn't do so well: "At 68.5 years, the United States ranked 54th, between Iran (69.0 years) and Antigua and Barbuda (68.4 years)." Japan did the best - there 76 year olds have the same level of health problems as an "average" 65 year old. These findings match earlier research looking at worldwide populations, which found that no matter how long a person lives - about 1/8 of their life will be spent unhealthy or disabled, typically in the decade before death. A new study reveals wide variations in how well or poorly people age. A 30-year gap separates countries with the highest and lowest ages at which people experience the health problems of a 65-year-old, according to a new scientific study. Researchers found 76-year-olds in Japan and 46-year-olds in Papua New Guinea have the same level of age-related health problems as an 'average' person aged 65. These negative effects include impaired functions and loss of physical, mental, and cognitive abilities resulting from the 92 conditions analyzed, five of which are communicable and 81 non-communicable, along with six injuries. The studies and additional information are available at http://www.healthdata.org. ...continue reading "At What Age Do You Feel 65?" Published on March 15, 2019 March 20, 2019 Categories healthy agingLeave a comment on At What Age Do You Feel 65? Did you know that the issue of prediabetes and what it actually means for health is controversial among some physicians and medical groups? Elevated blood sugar was once considered a risk factor for type 2 diabetes, but now it has been elevated into a pre-disease called prediabetes. We are now told that 1 out of 3 Americans are pre-diabetic and 90 percent of us don’t even know it. The main issues are: What does a prediabetes diagnosis mean? Does prediabetes lead to diabetes? How frequently does this occur? Should one treat it with medications? When one thinks about risk factors - then they can usually be modified (e.g. diet, weight loss, exercise), but when something is called a pre-disease - then one thinks treatment (e.g. medicines). Yes, we all agree that type 2 diabetes is a very serious health problem. But what about prediabetes? What is alarming to some researchers is that the definition of prediabetes has been broadened over the years to include millions more Americans. Also, what is considered prediabetes in the US may not be considered prediabetes in other countries. Keep in mind that the people most involved with promoting a broadening definition of prediabetes and promoting drugs to treat it, have a number of conflicts of interest (financial and scientific). The site Health News Review covered the topic of prediabetes in Jan. 2017 in a post by Dr. Michael Joyce: BMJ:Can we trust the numbers that define pre-diabetes? Some quotes from that post: "...a meta-analysis of the progression rates of pre-diabetes shows the majority of people did NOT go on to develop diabetes a decade later." "...in an article published in the BMJ, the accuracy of screening for pre-diabetes with fasting blood sugar and glycated hemoglobin is brought into question." ... “Our research looked at both these tests for pre-diabetes and found that neither of them was accurate,” says lead researcher Dr. Trisha Greenhalgh .... "In short, both our ability to predict diabetes with blood tests alone, and do so accurately in people with borderline elevated blood sugars, is questionable. Nonetheless, results from these tests – sometimes interpreted without clinical context – are being used to medicalize a risk factor and create a new medical condition." Yikes! The most common chronic disease after obesity, afflicting 84 million Americans and more than 1 billion people worldwide, was born as a public relations catchphrase. In 2001, the PR chief of the American Diabetes Association (ADA) approached Richard Kahn, then the group's chief scientific and medical officer, for help with a vexing problem, Kahn recalls. ADA needed a pitch to persuade complacent doctors and the public to take seriously a slight elevation in blood glucose, which might signal a heightened risk of type 2 diabetes. 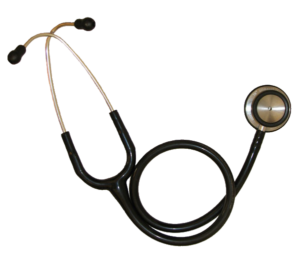 Raising the alarm wasn't easy, given the condition's abstruse name, impaired glucose tolerance, and lack of symptoms. ...continue reading "Controversies With the Prediabetes Diagnosis"
To the alarm of many, male fertility (sperm quality and sperm counts) has been rapidly declining over the past few decades. Researchers suspect that it's due to our exposure to chemicals in the environment, especially to endocrine disrupting chemicals - of which there are many, and to which we are exposed to daily. A recent study found that detrimental effects occur in the sperm of both humans and dogs when exposed to the common plastic softener DEHP and the persistent industrial chemical polychlorinated biphenyl 153 (PCB153). The researchers suggest this is because dogs live in households with humans and thus are exposed to the same environmental contaminants. 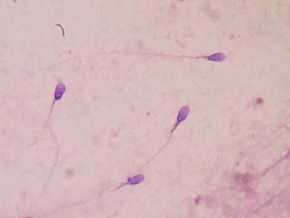 New research by scientists at the University of Nottingham suggests that environmental contaminants found in the home and diet have the same adverse effects on male fertility in both humans and in domestic dogs. ...continue reading "Common Chemical Has Negative Effects On Sperm of Both Humans and Dogs"
Researchers have known for a while that human breast milk contains hundreds of species of bacteria that a baby ingests while feeding. This is good! The bacteria is seeding the baby's gut microbiome (microbial community). A recent study of breast milk from different continents found that breast milk from healthy mothers also contains species of fungi - which is the breast milk mycobiome. What was noteworthy was that some types of fungi in breast milk were found among breast milk samples from all locations (a fungi "core group"), while other types of fungi varied among breast milk from the different locations and even how the baby was delivered (vaginal or C-section birth). Breast milk microbiome contains yeast and fungi: Do these benefit the infant? ...continue reading "It Is Normal For Fungi To Be In Breast Milk"
Many health professionals have warned for years that the antibacterial triclosan should be avoided. Triclosan is found in a large variety of personal and consumer products labeled "antibacterial" or "antimicrobial". Now a recent study gives another reason to avoid triclosan - it makes UTI (urinary tract infection) bacteria MORE resistant to antibiotics. Scientists have been warning about triclosan (and related triclocarbon) for a while, and have asked that their use be restricted due to risks to human health, to wildlife, and its accumulation in water, land, wildlife, and humans. Not only do they persist in the environment, they are also a source of toxic and carcinogenic compounds including dioxins, chloroform, and chlorinated anilines. They are endocrine disruptors that bioaccumulate (build-up) in humans and wildlife. They are toxic to aquatic and other organisms, yet they are found in the majority of people and freshwater streams. In other words, the chemicals are all around us and in us! More than 2000 personal and consumer products, as well as building materials, contain triclosan and triclocarban. For example, they are found in soaps, toothpastes, detergents, clothing, toys, carpets, plastics, kitchen items, and paints. According to the FDA, which is responsible for regulation of foods, drugs, cosmetics, medical devices, and similar products, there is no evidence that antibacterial soaps are more effective than nonantibacterial soap and water. What should one do? Read labels and avoid products containing triclosan and other antimicrobials, and products labeled anti-odor, antibacterial, anti-germ, or containing Microban. No, you don't need antibacterial or anti-odor socks or cutting boards! See earlier posts on this topic (here, here, and here). Grocery store aisles are stocked with products that promise to kill bacteria. People snap up those items to protect themselves from the germs that make them sick. However, new research from Washington University in St. Louis finds that a chemical that is supposed to kill bacteria is actually making them stronger and more capable of surviving antibiotic treatment. ...continue reading "Avoid Using Products With the Antimicrobial Triclosan"
Is eating vegetables in the Allium family (garlic, onion, leeks, spring onions, garlic stalks) protective in regards to colon cancer? A recent study from China suggests that eating higher amounts of these vegetables is associated with a lower incidence of colorectal cancer in both men and women. Interestingly, the researchers only looked at these 5 vegetables, which are commonly eaten in China, but not other Allium vegetables that are commonly eaten elsewhere in the world - such as chives, scallions, and shallots. All Allium vegetables are rich in flavonols and organosulfur compounds, which have properties that inhibit tumors (anti-tumor) in laboratory studies. High intake of Allium vegetables is thought to be protective for a variety of cancers, e.g. prostate cancer. The researchers mention that other studies examining this issue had mixed results - with some finding a protective effect of Allium vegetables, but not others. The researchers suggested that the high intake of these vegetables in the groups they studied and also cooking methods (which vary among different regions of China, as well as different countries) could explain the differences. For example, slicing and crushing fresh garlic releases beneficial compounds, but boiling onions leads to an approximately 30% loss of beneficial substances. After reviewing a number of studies that looked at Allium vegetable intake and cancer, it appears that while eating them cooked in any way is good, the most beneficial effects seem to be from raw Allium vegetables. 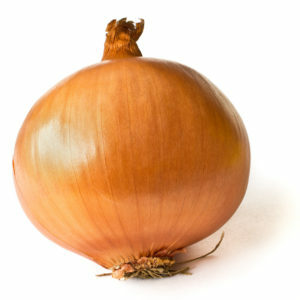 How much of the Allium vegetables did they eat? The healthy (non-colorectal cancer) group ate about 2 ounces or 1/4 cup of Allium vegetables per day (or 47 pounds annually), versus the colorectal cancer group ate about 1.5 ounces per day (or 15.92 kg or 35 lbs annually). Other differences between the groups were that the colorectal cancer group had higher intakes of alcohol and red meat, but less milk, other vegetables, and fruit (as compared to the healthy group). But both groups had the same intake of fiber. Bottom line: eat a diet rich in fruits and vegetables, including Allium vegetables (onions, garlic, leeks, spring onions, chives, scallions, shallots). From Science Daily: Consuming garlic and onions may lower colorectal cancer risk ...continue reading "Eating Garlic, Onions, and Leeks Linked to Lower Risk of Cancer"
Once again a study finds that eating berries (this time blueberries) is associated with health benefits - that the blueberries improved both blood vessel functioning and blood pressure. This multi-part European study was conducted on both humans and mice. 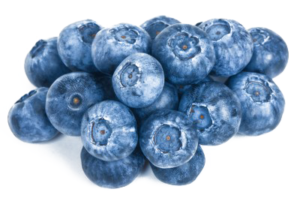 The researchers specifically looked at what component of blueberries had the beneficial effects on blood pressure and came to the conclusion that it was the anthocyanins in the blueberries. Anthocyanins are the blue, violet, or red flavonoid pigments found in berries and other plants. How much did the researchers find to be beneficial in the study? 2 cups or 200 g blueberries daily for one month. The study participants drank blueberry juice, but the assumption is that eating whole blueberries has the same beneficial effect.The researchers found that the lowering of blood pressure (5 mmHg) is similar to what is commonly observed with blood pressure lowering medication (e.g. ACE inhibitors) in patients. By the way, research finds health benefits from eating a variety of berry types and richly colored fruits and vegetables (e.g. better brain functioning, lower blood pressure, lowering of cholesterol levels). Not only are the micronutrients different, but also the microbial species which we ingest (this is good!). So don't eat just one kind of berry - eat them all! From a press release published by King's College London: The 'blue' in blueberries can help lower blood pressure ...continue reading "Blueberries and Blood Pressure"
Glyphosate (found in Roundup and Ranger Pro) is the most heavily used herbicide (weed-killer) in the world, and its use has been steadily increasing in the past decade. The debate over whether the pesticide is carcinogenic (cancer-causing) or not has been going on for a while. 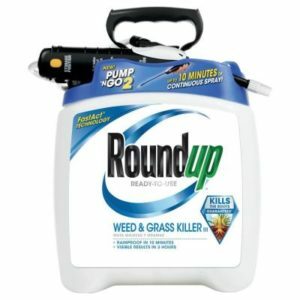 This week University of Washington researchers published a study that analyzed earlier studies about glyphosate herbicides (such as Roundup). They found that persons with higher exposure to glyphosate have a 41% increased chance of getting cancer, specifically non-Hodgkin lymphoma (NHL). This is huge. Of course, the manufacturer of Roundup (Monsanto and its owner Bayer) is going nuts trying to discredit the study, but the scientific evidence is clear. The researchers of this study also mention research showing that glyphosate alters the gut microbiome, and that it may act as an endocrine disrupting chemical. In other words, there are a number of health concerns with glyphosate herbicides. ...continue reading "Study Finds That Popular Weedkiller Raises Risk of Cancer"
Some good news for women and breast cancer. 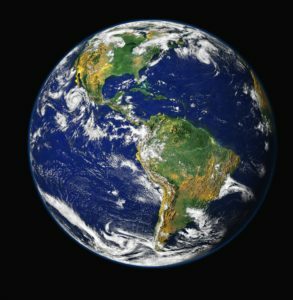 We are all exposed to endocrine disruptors around us - such as in personal care items, some household items, some medical devices and medications, plastic raincoats, and vinyl flooring. Phthalates, which are endocrine disruptors, are used as plasticizers in many of these products. We can lower our exposure to phthalates, but can't totally eliminate it. So a big question is: Is exposure to phthalates linked to breast cancer? Animal and laboratory studies suggest that a number of phthalates have carcinogenic effects (cancer causing), but several retrospective studies of women had mixed results regarding whether higher phthalate levels are associated with breast cancer or not. But now a large study (the Women's Health Initiative) that followed postmenopausal women for 2 decades has found that phthalate levels are not associated with an increased risk of breast cancer. The 1257 women (average age 62 1/2 years at the start) in the study gave either 2 or 3 urine samples (once a year) during the first 2 or 3 years of the study, and the urine was analyzed for a number of phthalates. Then the women were followed for 19 years. The researchers found some "suggestive associations", but nothing significant. Whew... We can breathe sigh of relief. However, there are some real problems with the study. While it does not look likely that phthalates have a large effect, smaller associations are possible, which the researchers discuss. 1) One big problem is that phthalates are rapidly metabolized and excreted from the body, so that the levels can vary tremendously from one point in time to another. (Half of phthalate metabolites are excreted in urine within 12 to 24 hours of exposure.) And the researchers did find that "phthalate biomarker concentrations exhibited high within-person variability over a 3 year period". More urine samples should have been taken from the women - not just one a year for 2 or 3 years. This study did not look at who routinely got exposed to high levels of phthalates and who wasn't. Half of phthalate metabolites are excreted in urine within 12 to 24 hours of exposure. Just having a week with lots of fast food could raise phthalate levels (the chemicals leach in from the packaging). See why only one measurement a year is inadequate? 2) Another big problem is that most of the postmenopausal women - whether with breast cancer or not, were using hormone therapy - in the past or during the study. As the researchers point out: "Because phthalates are far less estrogenic than hormone therapy formulations, it is possible that hormone therapy use may mask any true effect of phthalate exposure on breast cancer risk." 3) And the last big issue to think about is that this study did not look at early life exposures to phthalates, such as during puberty when the breasts are developing. Other studies suggest that exposure to endocrine disrupting chemicals are important during critical periods of life, especially earlier in life (e.g. adolescence). 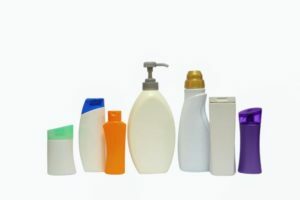 Looking just at phthalate exposure of postmenopausal women may be too late. According to studies and the CDC, almost everyone in the United States is exposed to phthalates in varying degrees, especially by eating and drinking food and liquid that has come in contact with containers and products containing the chemicals, and by inhaling indoor air that has phthalates in the dust. Adult women tend to have higher exposure to certain phthalates (it's measured in the urine) that are used in soaps, body washes, shampoos, cosmetics, and similar personal care products. ...continue reading "Breast Cancer and Endocrine Disruptors"